Rangers notched up their first win in the Scottish Premiership against St Mirren at Ibrox, after they were held to a draw by Aberdeen on the opening day of the Premiership season. Alfredo Morelos opened the scoring for the Gers in the 14th minute, which was doubled by a fantastic header from Connor Goldson in the 24th minute. Steven Gerrard’s team dominated the proceedings from the word go and kept the lion’s share of the possession of the ball. A red card shown to Ross McCrorie in the 31st minute saw the Gers being reduced to 10 men but that did not seem to be a problem for Gerrard’s men as they went onto clinch three points with a clinical performance on the night. The ratings for the Rangers players are as follows. A solid display from the veteran shot-stopper saw him keep a clean sheet, the first one for him this season. Was defensively very sound and helped keep the St Mirren attackers at bay throughout the match in what was his debut game. It was his inch-perfect delivery that saw Goldson score his first and Rangers’ second goal of the game. A brilliant outing for the centre-back as he held the backline together to keep them out of harm’s way. Scored the all-important second goal to seal the win. Another confident display as he partnered Goldson to ensure that nothing went past them. A good outing for the former Liverpool man as he kept his composure on the pitch and helped his side to a win. Was solid in his positioning as the defensive screen and played his part properly in the middle of the pitch. The match ended prematurely for him as he picked up a red card for a mistimed tackle right in front of the box on St Mirren’s Nicolai Brock-Madsen in the 31st minute. Looked sharp right from the beginning. Made a number of good runs with the ball and threaded some well-timed passes as well. Initiated attacks on the opposing defence with his witty through balls. Turned provider for Alfredo Morelos in the 14th minute, who opened the scoring for the Gers. A decent outing for the young Englishman. Looked sharp on occasions but need to work on developing his game further. Played the perfect striker’s role and slotted it past the St Mirren goalkeeper to notch up his first goal of the season. Came on in the 62nd minute for Barisic and played his part to ensure a win for his team. Is The Current Tottenham Hotspur Side Good Enough To Win The Premier League? 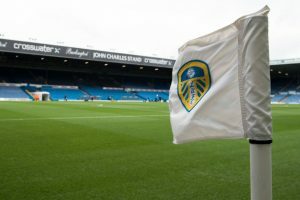 Bielsa Gives This Huge Indication About January Transfer Window: A Decision Which Leeds United Might Regret? Chelsea Eyeing Up Move For 31 Y/O Leicester City Custodian: Ideal Replacement For Courtois?